Xijie Dai, Haining Wang and C.J. 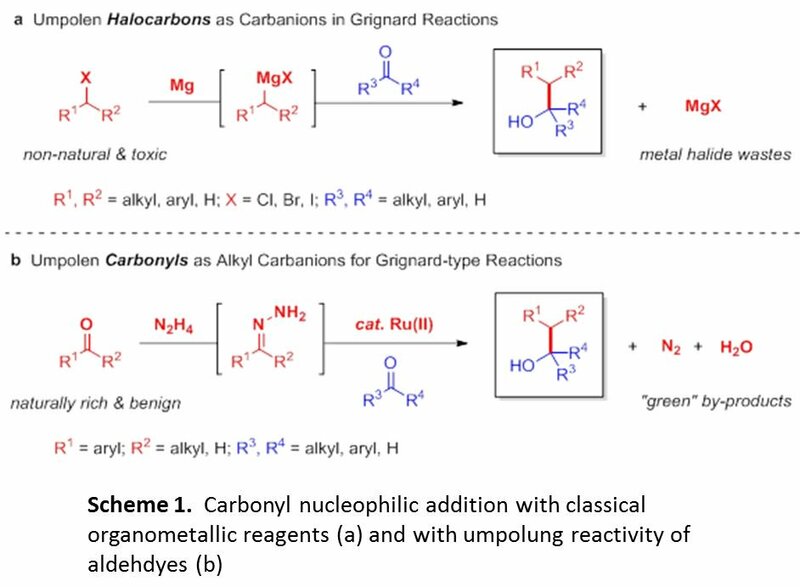 Li have recently demonstrated that carbonyl derivatives could be used in a similar fashion to Grignard reagents using a smart Umpolung strategy and thus replaced organometallic-based reagents for nucleophilic carbonyl addition reactions for alcohol synthesis. For more, read the American Chemical Society - Institut in Green Chemistry report, or the article published in Nature Chemistry.